A couple of people asked if I could share the chart/storage sheets that I made for my Distress Ink Blending Foams. Absolutely! 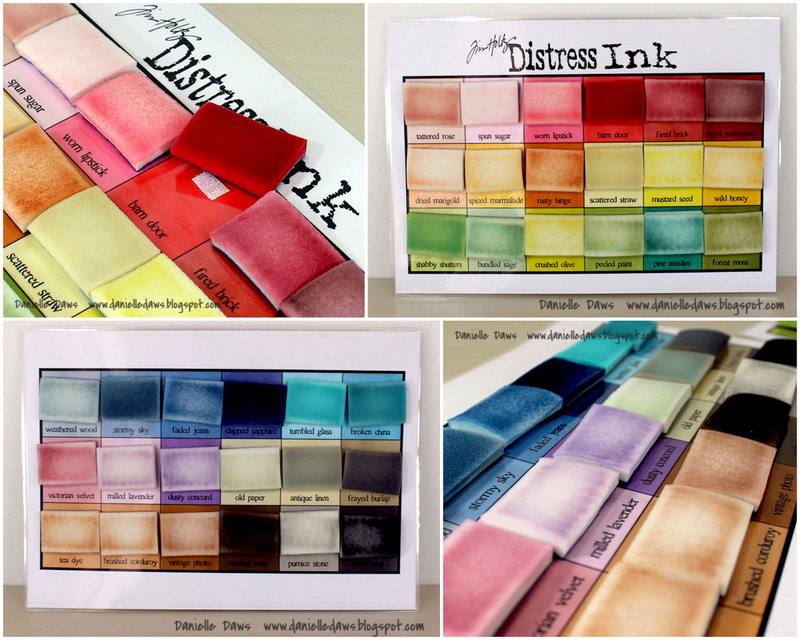 You can download the pdf I made HERE, but I would like to mention that all I did was to enlarge the existing Tim Holtz Distress Ink Colour Chart so that it spread over 2 A4 pages. It's the perfect size for the blending foams to fit comfortably and I can still see the colour underneath. I masked off each square to colour them with the blending tool, so the example is the actual result from using the blending foams. It might seem like a small thing, but the colours can look quite applied different this way. Then I laminated the sheets and stuck some small self-adhesive velcro to each square. I'm really happy with how it turned out. But be warned - when your blending foams have lots of colour on them like these ones, that can rub off onto other items... so don't store these next to card stock! 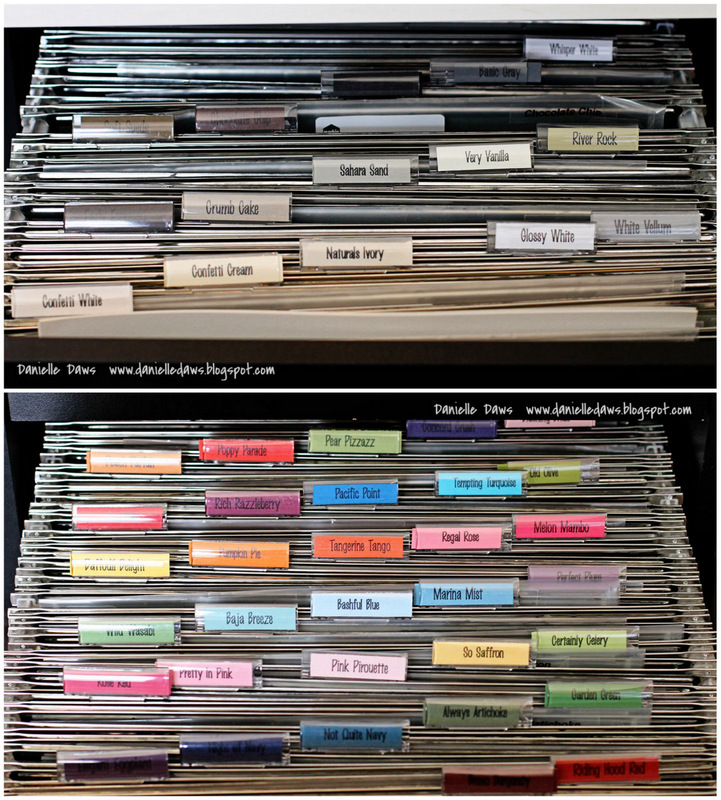 Can you tell me if you store full sheets of card stock in your file folders? I file my scraps this way but I’ve never had separate folders for each SU color, just main colors like red, etc. Yes, I have all the colours separated with full sheets of card stock and a little clear folder for the same shade scraps. I didn't start out with that intention, but I found I spent ages figuring out exactly which shade of card stock was which from the colour family packs, and then I just got frustrated! So I figured it was easier to spend a minute unpacking the card stock into their files in the first place. It's just me being fussy! How did you make or maybe you bought the item that holds your punches? It looks user friendly and I have been wanting something like that but just haven’t found anything yet. My husband built it for me! 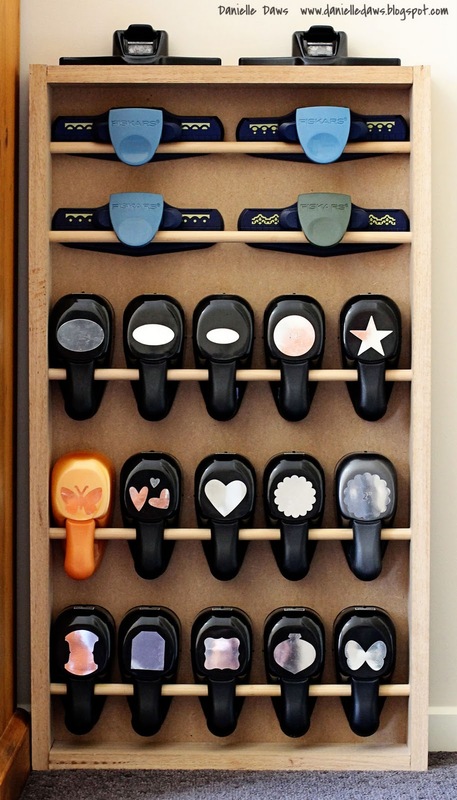 I kept seeing all these gorgeous craft spaces that had rails on the walls for punches, and my husband offered to make me a wooden one because we were in a rental at the time and didn't have anywhere to hang rails. He measured for it by laying out the punches according to size and making sure he left enough room for them to be removed and replaced. Then he built a basic frame based on those measurements - 4 pieces of timber and a ply board backing, and inserted dowel/rods before nailing the final piece together. He drilled shallow holes for the rods to sit in inside the actual frame. Is that a little sunken basin on the right side of the desk?